Wash and soak basmati rice for half hour and then cook in a big pot until 90% done. Heat oil in a pan and add cumin seeds into it. Once it crackles, add ginger-garlic paste and chopped onions in it. Saute for 1-2 mins until onions soft. Then add tomato puree and all the spices with kasoori methi in it. Add rajma after a min and mix everything well. Cook it on medium high heat for 2 mins. Take this pan off the heat and add whisked yogurt. Stir it well and put it back on the heat. Add cooked rice in it and mix well. Cook it uncovered for a few mins on low heat and then turn off the heat. Drizzle lemon juice and garnish with coriander leaves before serving! I prefer adding a tsp of salt and lemon juice each while cooking rice. Lemon juice keeps the rice grain white. Aww I am honored Shruti :-) Thank you very much dear!!! Congrats and wish you many more to come , so add rajma with rice only? I can’t find when to add rajma. Rajma rice is my favorite , love to try this. Congratulations :) You are an inspiration for me!! heartiest congrats dear. 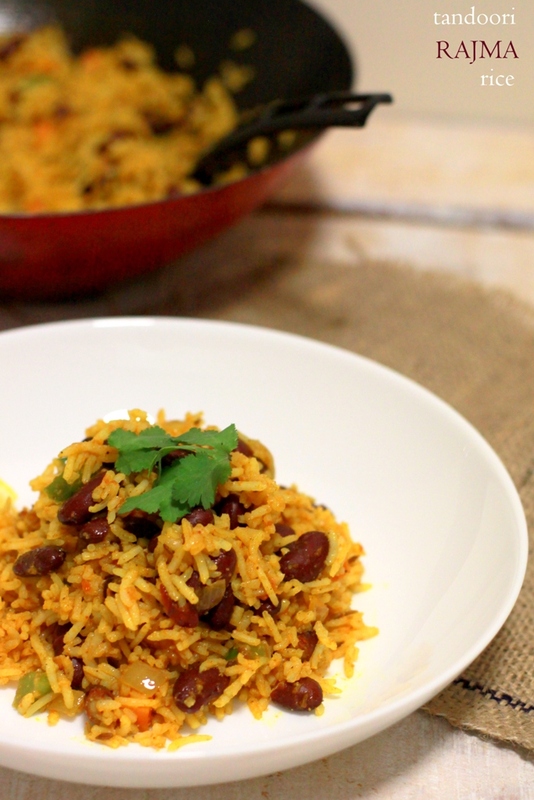 rajma tandoori rice looks so tempting!! Congrats Shruti :) And looking forward to many more posts from you! That’s very creative work there Shruti. Congratulations on 500th post. Congratulations on the 500th post! Congrats Shruti!! 500 posts!!! Wow, you are very prolific! 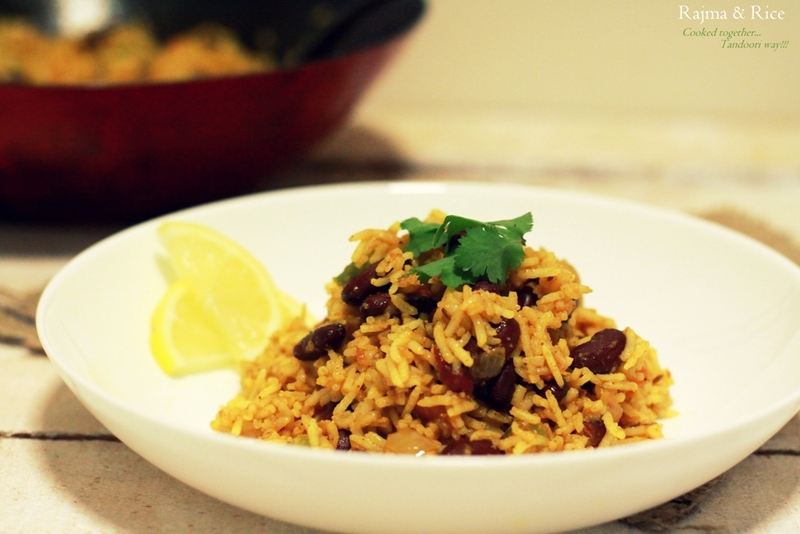 Keep bringing us your wonderful recipes :) Love this rajma rice! Real comfort food! Looking yummy & congrats for post no 500! yeiih!